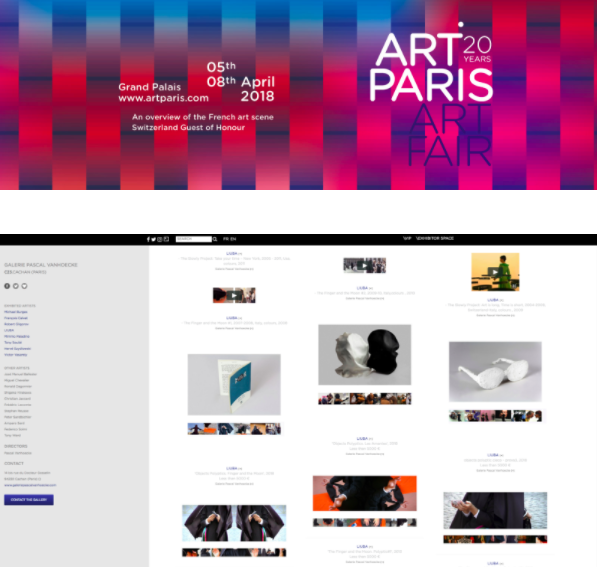 On the occasion of ART PARIS 2018 (4-8 2018) Pascal Vanhoecke Gallery is pleased to present a selection of works by its artists and long-term collaborators. The two channel videos by LIUBA The Finger and the Moon #1 and The Finger and the Moon #2 will be presented at the Fair, as well as a new series of works. The LIUBA PERFORMANCE OBJECTS artist book will also be introduced in the presence of the author. During the days of the fair, at surprise, LIUBA will perform the new The Finger and The Moon # 6 performance, which will further develop the works presented by the gallery.